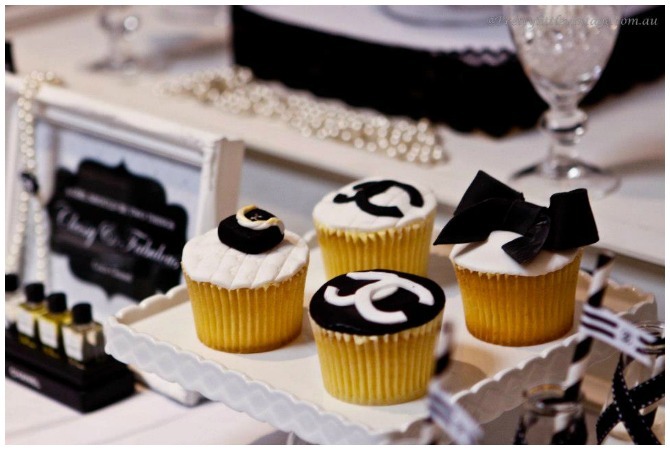 This Chanel inspired birthday party was submitted by the incredibly talented Justine of Pretty Little Vintage Melbourne. The party is style to the max. 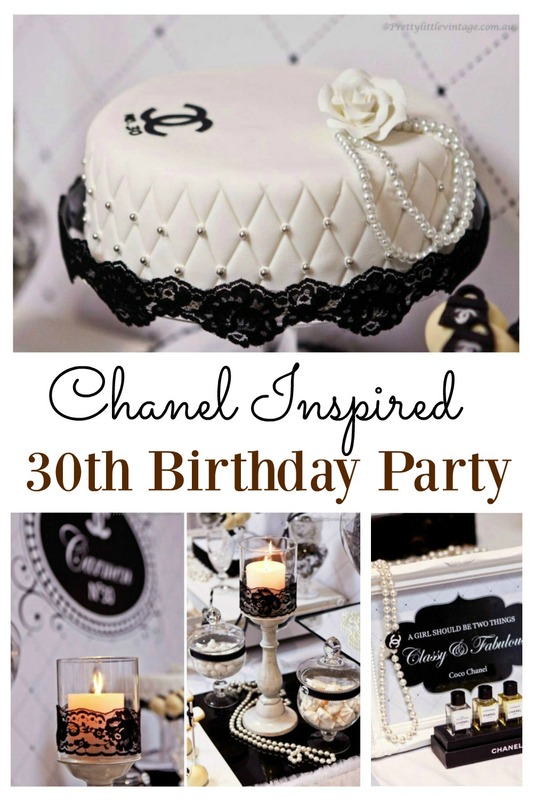 Chanel is a beautiful and classic design, which makes it a perfect theme for a 30th birthday party. 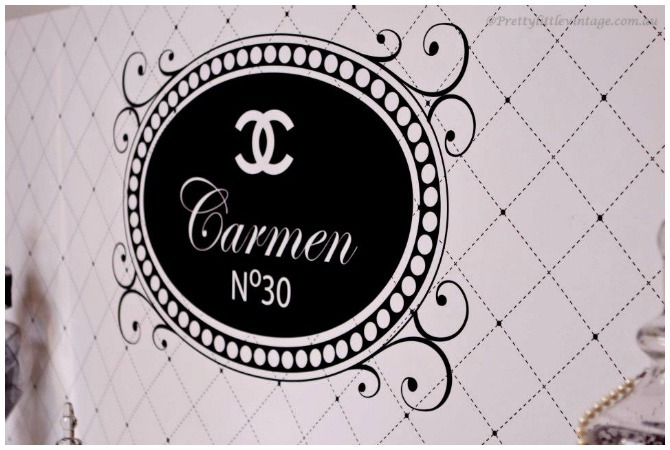 With Chanel no.30 being the focus, the classic black and white styling has been used beautifully throughout. 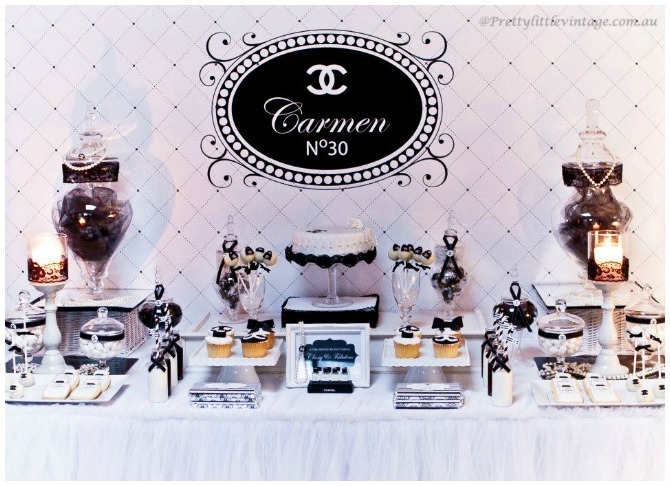 Justine said about the party planning: “This was designed for a girl named Carmen who adored all things Chanel. 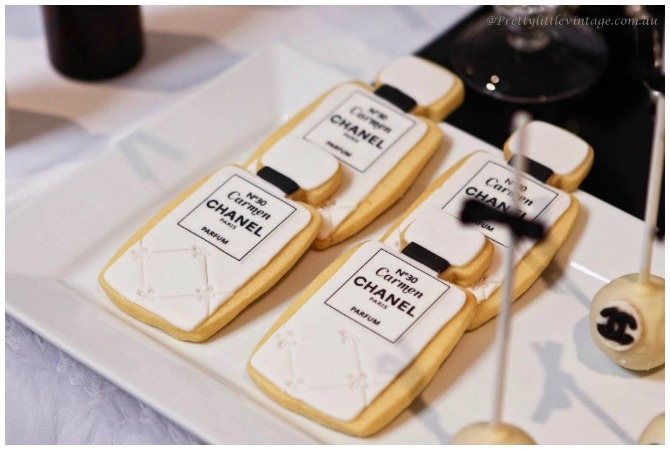 A ‘Chanel no.30’ theme was perfect for the occasion. 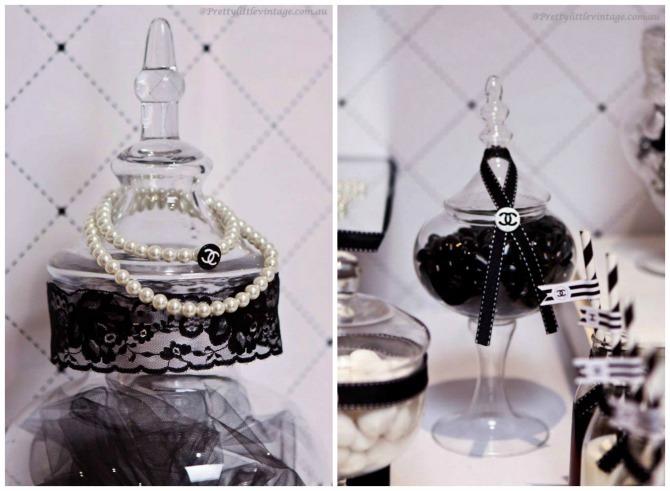 The dessert table featured an assortment of black and white candy in jars decorated with Chanel inspired earrings. 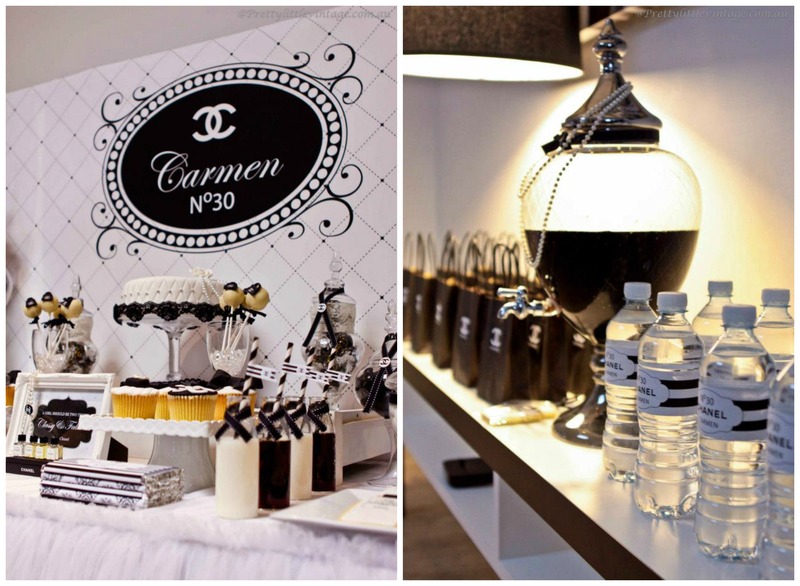 Lolly bags were designed to resemble black Chanel shopping paper bags and were placed alongside a drink station for guests to fill with candy to take home. We also designed a step & repeat photo backdrop for guests to interact with.”. 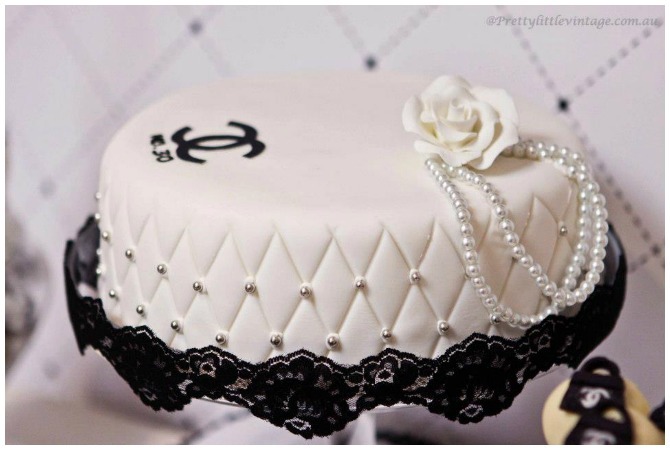 Chanel’s signature quilting has been used throughout the party design, along with stunning lace and pearls. 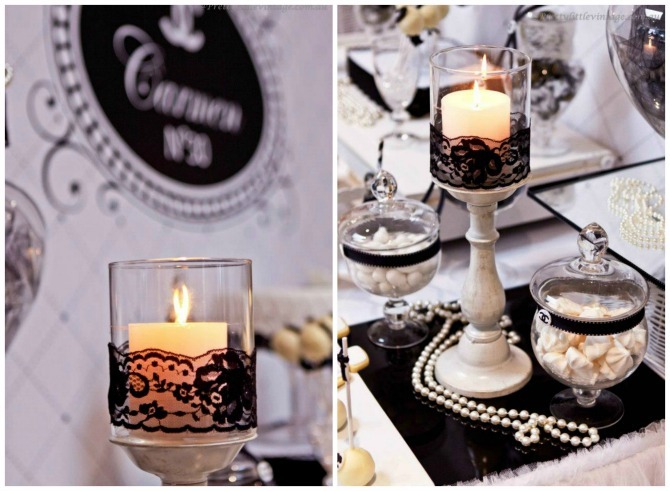 All of this combined provides a feeling of elegance and glamour. 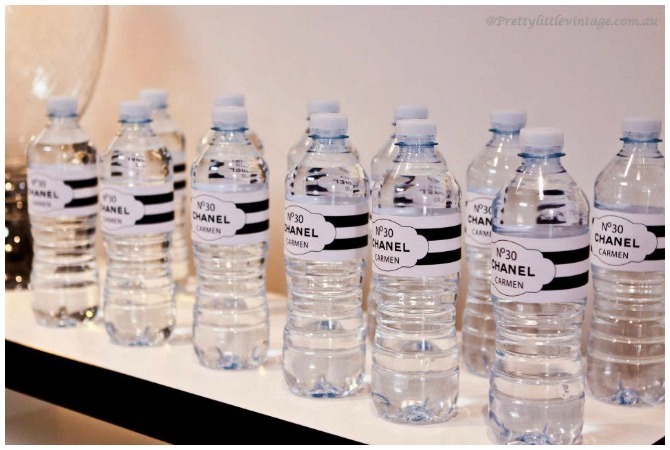 Everything has been put together beautifully right down to the final details of black ribbon with Chanel’s trademark, the water bottle labels and even the stunning favor bags. Would you have thought that black and white food would look delicious? This party is proof that it does! Everything on the dessert table compliments each other, with cupcakes, cake pops, cookies and not forgetting the stunning quilted cake. The incorporation of the lace and pearls onto the cake is simply stunning. 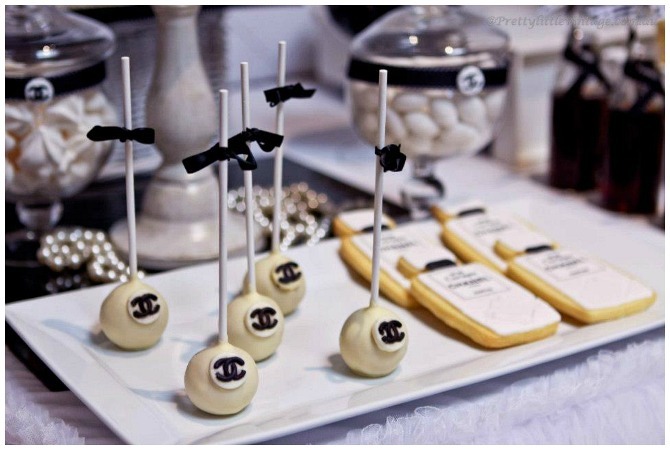 Justine said ” The desserts included delicious coconut and vanilla flavored Chanel inspired cake pops, stunning Chanel inspired cookies , customized Lindt chocolate bars, Chanel inspired vanilla cupcakes and a beautiful Chanel inspired cake”. 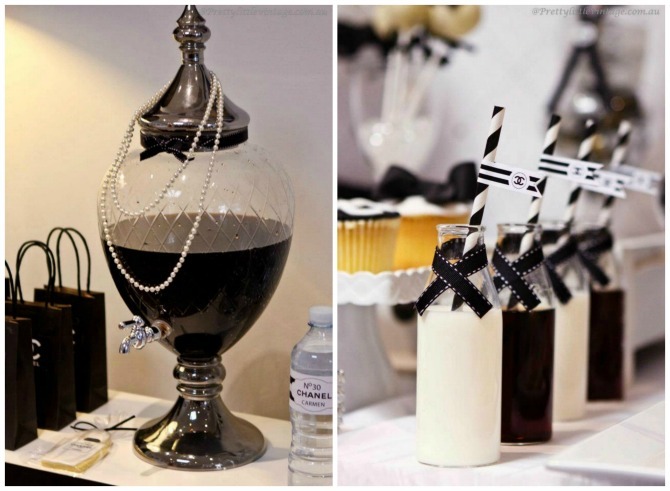 Is this the kind of elegance you would be looking for at your next party? Thank you Pretty Little Vintage for sharing your stunning party with us! This is cute. I am turning 30 next month. Eeek! Thank you for linking up to Party Time and we hope to see you again next week! What a fabulous party! I love all your attention to detail! 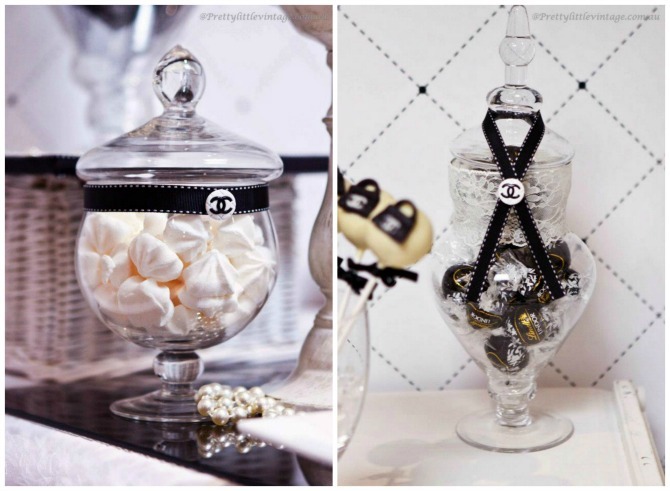 The cookie bottles are perfection, and for sure, black and white food does look delicious! 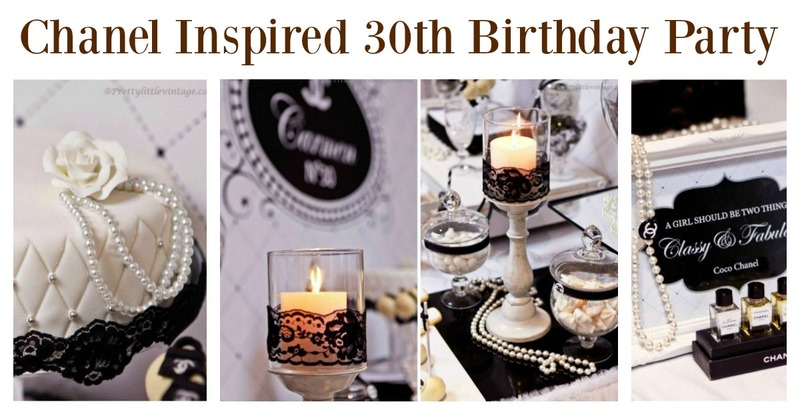 I would love if you would drop by and share this at my blog party, Celebrate It! It is all about celebrating the everyday wonderful of our lives! This is such a unique and classy idea! A party like this would make any birthday fun! It would be hard to resist wouldn’t it Brittany. 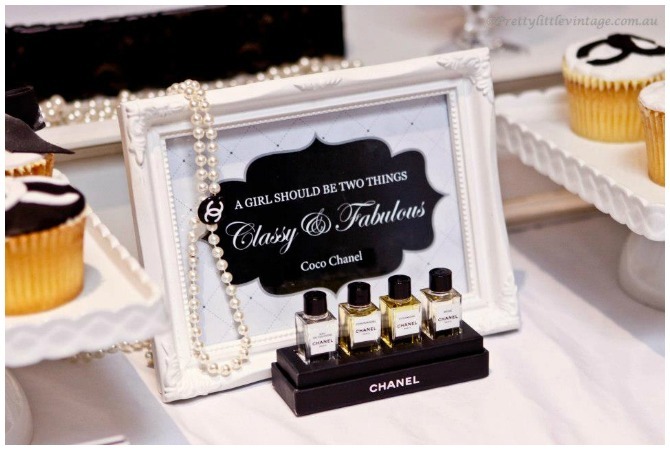 Chanel certainly has that sense of style! Hi Liz. I am afraid I can’t help you with this, as the Chanel post was a submission to the site. I would suggest you contact Pretty Little Vintage who may be able to help you.